Copper wire drawing coolant is used during the manufacturing process that forms copper work stock by reducing its cross section. This is accomplished by forcing the copper wire through a die. This process requires a lubricant or coolant to protect the die and make it a smoother process. Copper wire drawing coolant often requires filtration / separation to increase the life of the fluid and maximize the quality. CentraSep Centrifuges offers a Copper wire drawing coolant filtration system that drastically reduces the regular maintenance needed for copper wire drawing systems. By properly filtering and separating copper wire drawing coolant, you can ensure a smooth process, maintain excellent die life, lower die temperatures, and better wire feeding, while making your production more dependable by eliminating downtime. You will also maximize the life of your wire drawing coolant. CentraSep Centrifuges actually has a customer that has not changed their wire drawing coolant in 10 years. While the competitive landscape of the copper wire drawing industry continues to change, an effective copper wire drawing coolant filtration and separation solution can dramatically and positively impact your bottom line. Our experienced and dedicated team of engineers, technicians and manufacturing personnel understand the copper wire drawing industry and how the proper coolant filtration affects production and efficiency. Our team will work with your team to develop a process improvement centrifuge solution that decreases your costs and increases your profit. CentraSep Centrifuges is the proven leader in copper wire drawing coolant filtration and can offer you savings in labor expenses, filter media purchasing, inventory and disposal fees, and coolant replacement costs. 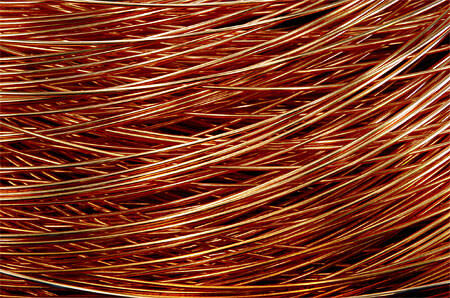 Having the ability to separate copper particles from wire drawing coolant, not only helps reduce disposal costs but offers customers a return on their filtered material. Contact us today to see how CentraSep Centrifuges can help you with your copper wire drawing coolant filtration and separation application. Talk to one of our Engineers today to see how we can help with your copper wire drawing coolant filtration and separation needs.